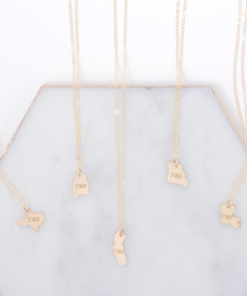 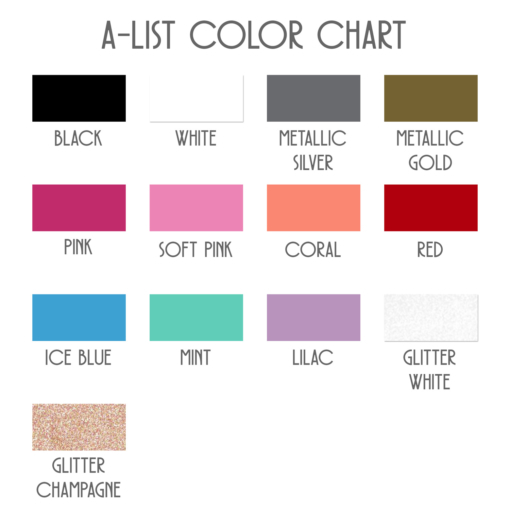 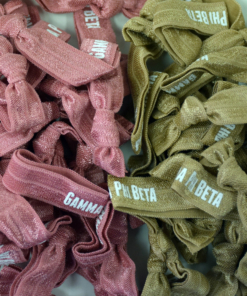 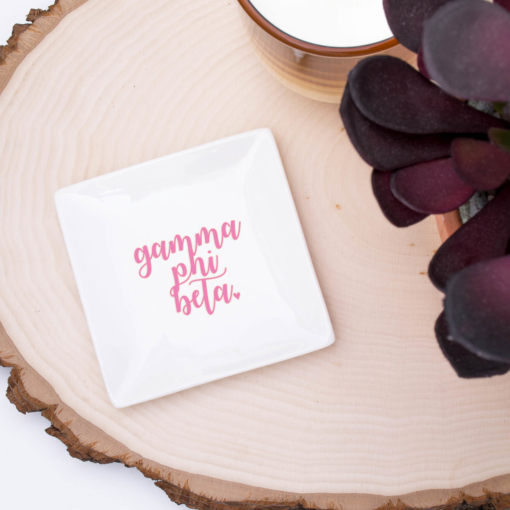 Perfect for your GPhiB pin, loose change, jewelry, desk accessories, etc. 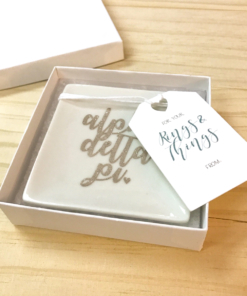 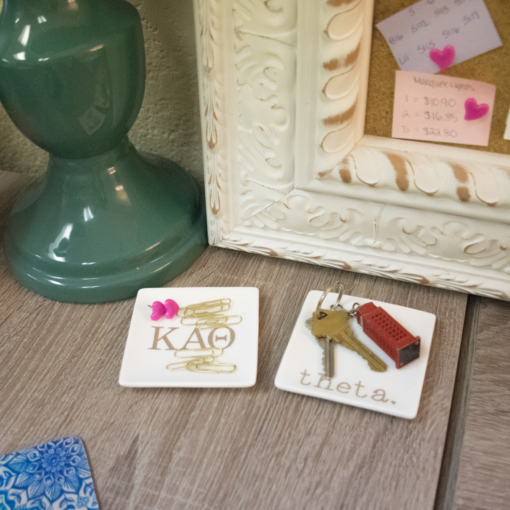 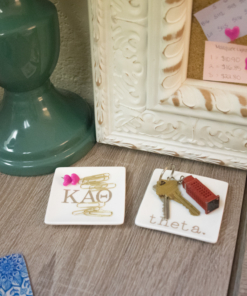 Choose from three adorable Gamma Phi Beta ceramic trinket tray designs. 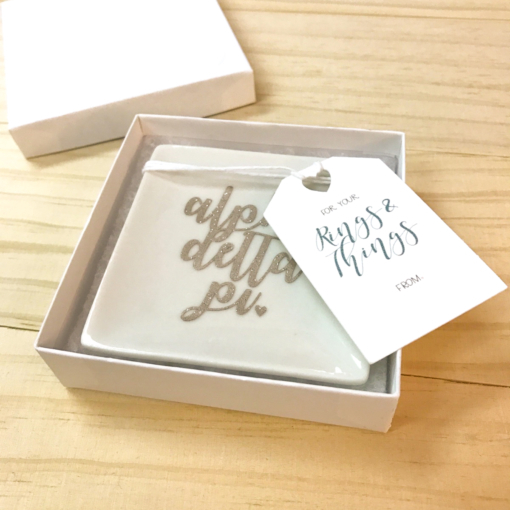 These 3″ x 3″ ceramic jewelry dishes pop with your choice of color. 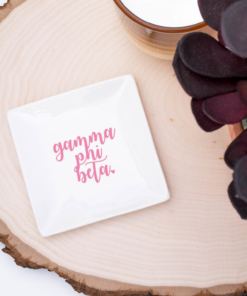 Use these for your jewelry, hair accessories, as a soap dish, as a dish for pins and clips on your desk, or a dish for any other trinkets you can think of! Share the set with sisters or keep all three for yourself; whatever you choose, these versatile dishes are sure to be a hit! 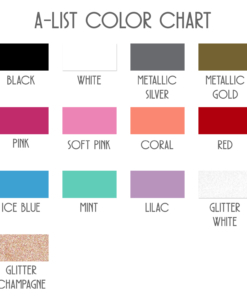 ***Due to color variations on monitors actual product colors may vary slightly.